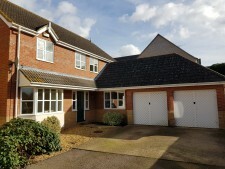 Large spacious modern four bedroom detached property set in an exclusive cul-de-sac. The property comprises entrance lobby; lounge with fireplace with French door access into rear garden; dining room; study; kitchen with double oven and separate hob; built in fridge freezer & dishwasher; utility room; cloakroom; master bedroom with built in wardrobe with en-suite; second and third large double bedrooms; fourth bedroom a very large single; modern family bathroom with shower over bath; rear enclosed garden with patio area; double garage with driveway parking; gas central heating and double glazed throughout. 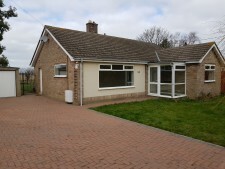 Lovely three bedroom bungalow set in a quiet lane just off the main road. 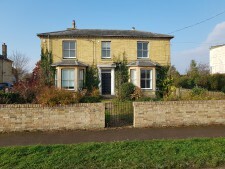 This property comprises entrance porch; hallway; large lounge with feature electric fire; three double bedrooms, bedroom 1 -12' 9" x 11' 3" bedroom 2 11' 2" x 9' 11", bedroom 3 - 11' 3" x 8' 11" ; modern kitchen with intergrated oven and hob, fridge freezer, washing machine & dishwasher; wet room with obscured window, heated towel rail, inset spot lights, low level w.c, inset wash basin, wall mounted shower, extractor fan, part tiled walls; rear enclosed garden with two sheds; double glazed throughout; gas central heating; driveway with garage. A grand property set within a popular Village comprising entrance hallway, two large reception rooms both with feature fireplaces; dining room; large kitchen with oven and hob; dishwasher and fridge freezer / breakfast room; utility rooms with washing machine; master bedroom with fitted wardrobes and en-suite bathroom; four additional good sized bedrooms with built in wardrobes; main bathroom with additional benefit of shower cubicle; driveway parking with garage but also available is a separate Studio Annex with Sauna and shower facilities. Enclosed rear and front gardens. Light and airy one bedroom top floor apartment within a purpose built building situated in a quiet location but within walking distance to the City Centre. Main entrance with security system and stairs leading to third floor to Flat front door. 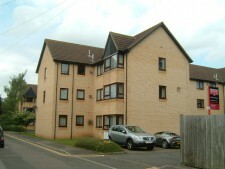 Flat comprises entrance hallway; modern bathroom with electric shower over bath; good sized lounge; kitchen/breakfast area with white goods including fridge- freezer, washing machine and electric Oven and hob; double bedroom; double glazed throughout, gas central heating; allocated parking for one car . Located in a sought after Village, this three bedroom end of terrace property comprises entrance hall, lounge and dining area with access out to patio and garden. 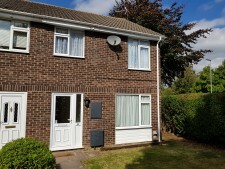 Kitchen with modern cream fitted wall and base units; under counter dishwasher; electric oven, hob and cooker hood; space for washing machine and fridge-freezer; Upstairs comprises two double bedrooms and one single bedroom; bathroom with white bathroom suite and shower over bath. Rear enclosed garden with patio area and personal access to garage in block. Parking for one car immediately in front of garage and additional on-road parking.